Choices everywhere! 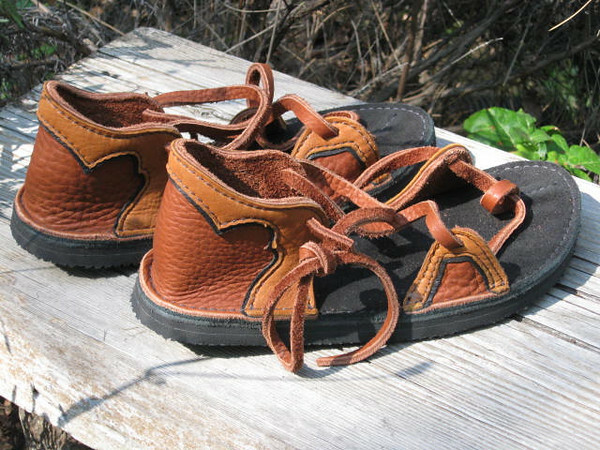 A simple pair of 2 tab sandals, can be juiced up a bit with a little underlay. This pair of tobacco sandals, has dusk deerskin trim, and an 1/8 of an inch black deerskin underlay. The soling is thin cushi with Spikeless Golf Vibram.